This is by no means an original recipe of mine. 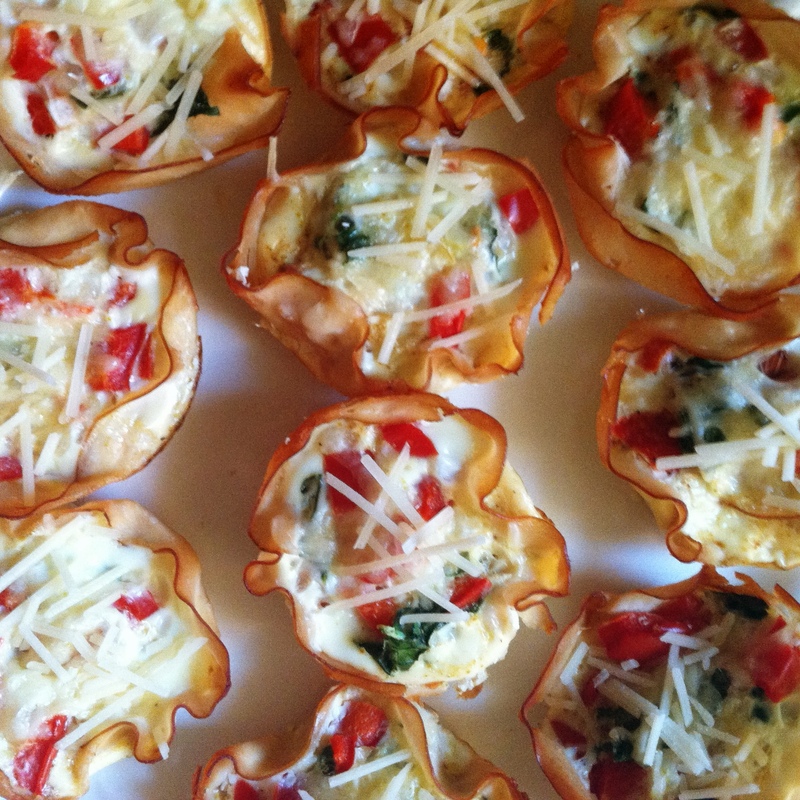 These turkey egg cups are all over Pinterest and even shown on the biggest loser. Everyone has different variations, and this recipe is very versatile so you can use your own ingredient preferences when making these. Even though this recipe is very common, I am posting it because I get asked how to make these all the time! They are great for a quick breakfast or an on the go snack. Preheat the oven to 350. Pour eggs in a small bowl . In a separate bowl mix all other ingredients (except turkey). Grease a muffin tin and line each with turkey meat making little cups . fill each cup 1/2 way with vegetables, then pour egg whites in each until all veggies are covered by the eggs. Bake for about 18-20 or until golden on top. Sprinkle each with parmesan cheese.